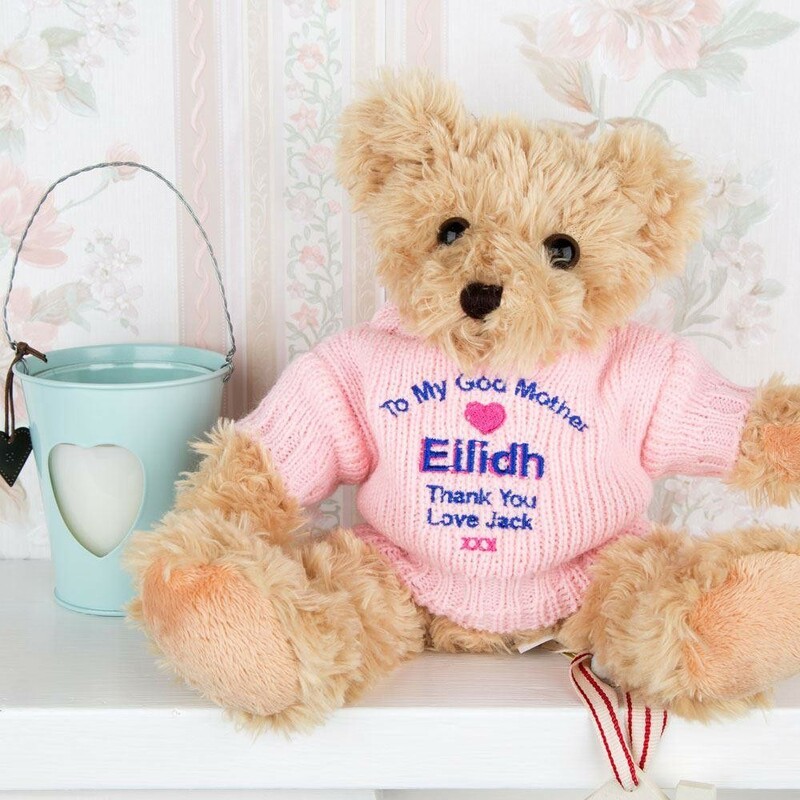 This personalised bear is a sentimental gift for your godparent. The teddy can sit it on their bed or on a window ledge so they always remembers their precious godchild. Each teddies jumper is personalised in house with the recipient's name and short personal message. Dimensions: approx 22cm tall, not jointed, weight approx 135 grams.